Here at Booth Moving, we know better than anyone how much work goes into holiday packing and storage. After all, we’ve been doing this for almost 90 years! We thought we’d share these tips and tricks in time for the holiday season so you’ll be prepared when it’s time to pack up the presents! 1. Label, Label, Label … and then Label Some More! There’s nothing worse than unboxing all your decorations and trying to remember where they all go. 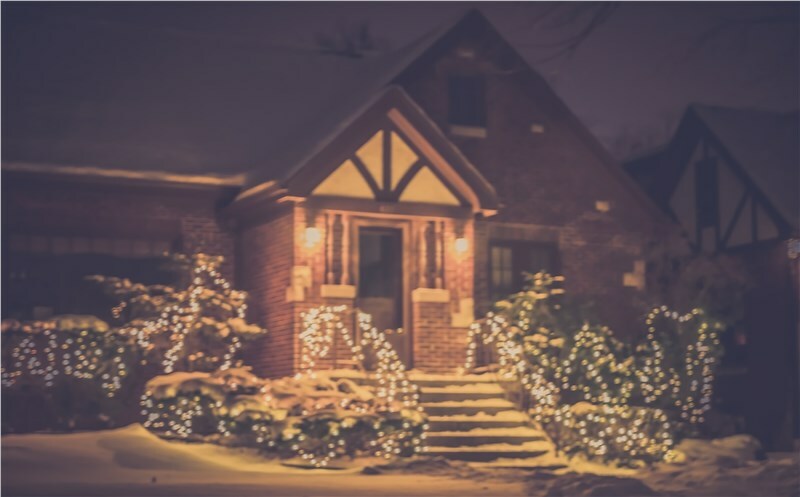 To avoid this headache, as soon as you remove a garland or string of lights, label it with masking tape and permanent marker. Make sure to include the item’s location so you’ll know just where it goes. Many people swear by their specialty ornament boxes. And those can be great! However, there isn’t really a need to spend big bucks on storage containers. The best containers for your fragile ornaments are the ones they came in—so keep them if possible. If it’s too late, plastic apple containers and egg cartons make excellent substitutes. Add extra protection with felt or bubble wrap. When it’s time to put everything away, store your décor in clear containers with labels. 3. Don’t Let Your Lights Drive You Loopy! There’s a reason tangled lights are a common trope in holiday comedies—they really do incite frustration more than almost anything else (even last-minute shopping). The good news is this can be avoided with proper storage. Wrap each individual strand around a section of cardboard and label each strand with its number and type of lights. That way, if you need to replace or repair any bulbs, you know just what to get. If you’ve packed and labelled everything, but you just don’t have the space to store your decorations, consider looking into seasonal storage options. We’ll keep your décor safe our temperature-controlled facility until you’re ready for the next holiday season! We also offer a free network of support for the area's best realtors. Give your clients special pricing, VIP benefits, and a gift for you for each referral when your clients hire Booth Movers! Learn more about our Premier Partners Program today!